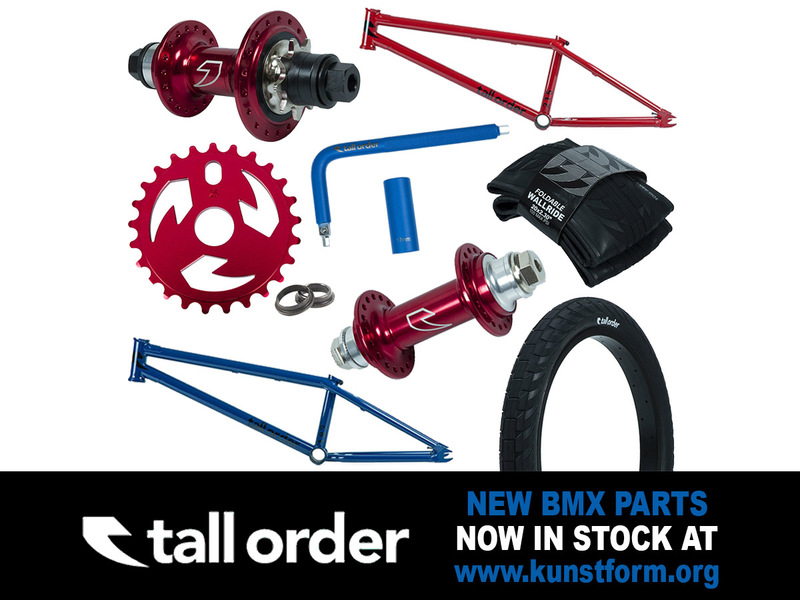 BMX Shop & Mailorder » News » BMX Shop News » NEW Tall Order 2019 Parts - In stock! We got the new Tall Order 2019 Parts now in stock, like for example the Tall Order "187 V2" 2019 BMX Frame, which has an 7.4" (187mm) standover height with a unique investment cast seat clamp that's angled to follow the lines of the seat stays and with the 2019 Version it features the addition of a logo embossed external gusset on the top tube for increased strength and integrated chain tensioners. Also now in stock, the Tall Order "Drone" Cassette Hub, which is made by an aluminum hub shell and a lightweight female axle with 10mm (3/8") bolts. Check our online-shop for more new Tall Order products!